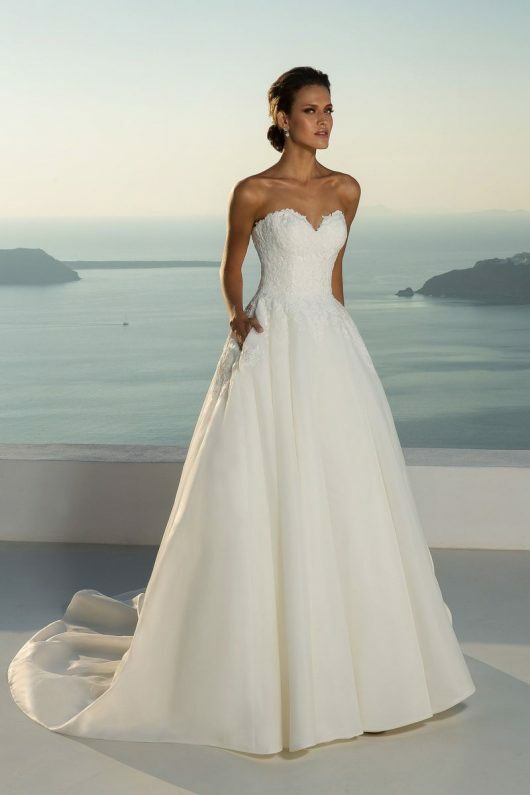 You’ll be ready for the aisle in this classic strapless sweetheart ball gown. The hand placed lace appliques give way to the start of the organza skirt. Accessorize with our matching veil style that is the perfect addition to your gown creating a timeless wedding day look.